This month at Ian Media, we are proud to acknowledge an important and promising organization that has become the talk of Los Angeles, and more specifically its designated hometown of Glendale, California. The city will soon welcome a valuable and timely cultural complex that can become an inspiring beacon of diversity, tolerance and pride. The Armenian American Museum is becoming a reality and it needs your support. A telethon is scheduled to broadcast live to raise awareness and do fundraising for this historic building. TV commercials announcing the museum’s inaugural telethon started airing in late January 2019 on Cable TV channels in Glendale and Burbank, with digital video ads primarily supporting the campaign. At Ian Media, we are happy to have played our little role in researching and launching the short TV and digital marketing run for this exciting event. The Armenian American (a non-profit organization) promises to be the first world-class cultural and educational center of its kind in North America. It will be a place for millions of Armenian Americans to connect with their culture, the rich history of Armenia and their ancestors. For other nationalities it will be a wondrous place to visit and discover cross-cultural connections that shapes the multicultural tapestry of America. The museum will promote and educate attendees about America’s ethnic and cultural diversity by sharing the Armenian American experience. Serving as a cultural campus, its mission is to enrich the community and to empower individuals to embrace cultural diversity and speak out against injustice and prejudice. 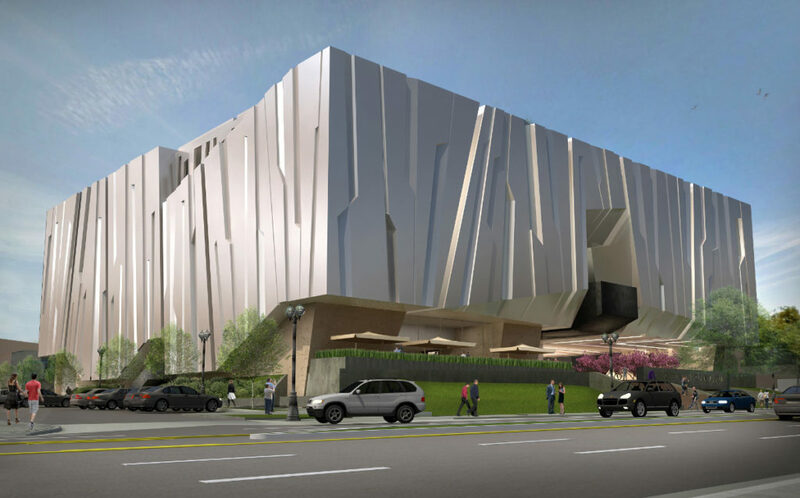 The museum will be built in the heart of Glendale a city holding over 65,000 Armenian homes are (according to census, year 2000) and one of the most vibrant, affluent cities in the Los Angeles county. The building will be erected on East Colorado Street, a few steps away from Brand Boulevard where the world famous Americana shopping center is located. The Armenian American Museum telethon will take place on Sunday, February 17, 2019 on ARTN, USArmenia, KVMD TV networks, locally and internationally (check your listings and providers for more information). It will also stream on Facebook Live, YouTube Live, worldwide. The rich and complicated history and culture of Armenians has been the focus of many scholars and historians. In recent years a few major motion pictures such as 1915 released in 2015, directed by Garen Hovannisian and Alec Mouhibian, The Promise, a 2016 feature film by director Terry George (In the Name of the Father, Hotel Rwanda) and Intent to Destroy, the 2017 documentary film by Joe Berlinger (Paradise Lost, 1,2,3, and Metallica: Some Kind of Monster) have focused on the Armenian genocide. The Armenian American Museum will serve as a daily reminder of injustice, resilience and hope while celebrating the humanity in all of us. Ian Media representatives worked effortlessly to plan the TV and online digital campaign to promote the museum’s upcoming telethon utilizing the new digital platform at Spectrum Reach and the power of popular TV news networks such as CNN, Fox News, MSNBC in addition to Hallmark channel, Food Network and the History channel. Tune in to watch the Armenian American Museum Telethon on February 17 at 4:00 PM (PT) and be a part of history. Click here to watch an animated video tour of the building. Here is to the American Armenian Museum the newest gem soon to shine in the Jewel City, Glendale. 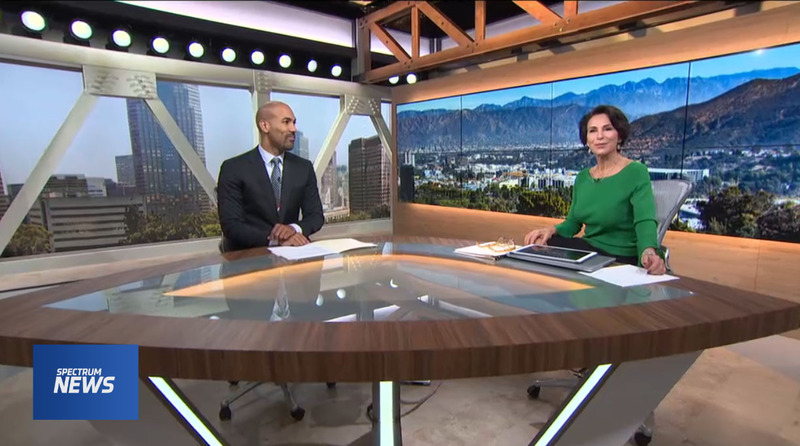 This month, a brand new network focusing on local news in Southern California made its debut on Spectrum’s cable channel line up. The new hyper-local news operation airs in West-LA, East LA, San Fernando Valley, and Ventura and Orange County. Five veteran news journalists top the lineup of news and original programming that made its debut in November 2018, in Southern California. Operated by Spectrum Networks it promises to bring the stories that are of interest and importance to Spectrum viewers across the Southern California cable landscape. Spectrum News anchors, Melvin Robert and Giselle Fernandez host “The Beat on 1” in the mornings on Spectrum channel 1 in Los Angeles. On weekdays from 5 to 9 AM, “The Beat on 1,” (channel 1 on all Spectrum cable boxes) a new morning newscast that will deliver a mix of hyper-local stories and news content. The morning team will feature veteran anchors Giselle Fernandez and Lisa McRee, award-winning political journalist Alex Cohen, as well as Southern California native and television host Melvin Robert. Seasoned weather forecaster, Robert Santos, will deliver up-to-the-minute weather reports specific to local communities. Local marketing and sponsorship opportunities are available on Spectrum News’ LA News 1 cable network. In Focus California, hosted by Renee Eng is an original programming in form of a series focusing on the issues and communities of Southern California. In Focus California: So Cal airs Sundays at 9 am and In Focus California: In Your Community airs Sundays at 9:30 AM. Both shows can be viewed on Spectrum News 1 SoCal channel 1. Renee tackles the serious and timely topics in our cities. From poverty, caring for our veterans, PTSD, the progress and problems of public transportation, higher education, to the impact and contribution of minorities shaping our communities and more. Former ABC News and Good Morning America host, Lisa McRee host can be seen delivering the nightly news, and Melvin Robert will host a weekly art-and-culture show called The SoCal Scene. 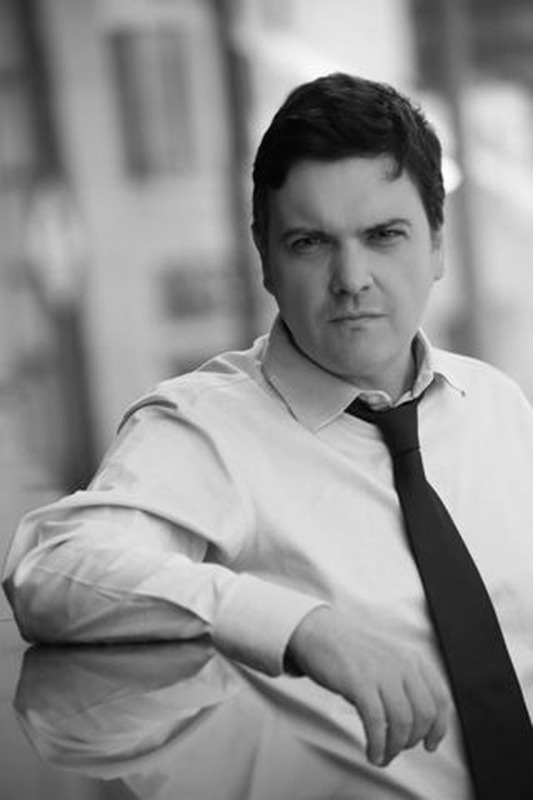 Politics will also have a place on the network as Alex Cohen hosts Inside the Issues. Also featured in the weekly line up is L.A. Stories, the documentary-style show hosted by Giselle Fernandez digging deep into current newsmakers with exclusive one-on-one interviews. Local advertising and sponsorship opportunities are available for local business owners. At Ian Media, we can produce the promotional video and graphics, and plan the TV campaign and book the airtime for your business and brand. See Spectrum News’ journalists and correspondents here. Below, watch the promo video on Spectrum News Network’s approach to local news and programming. The Eagle Rock Library and Western Edge Writers will host a special afternoon featuring English author, and L.A. resident, Stephen Gee, discussing his latest book, Los Angeles City Hall: An American Icon (Angel City Press) and the man responsible for the iconic building, British architect John Parkinson. Author Stephen Gee, talking “Los Angeles City Hall: An American Icon” presented by Western Edge Writers in Los Angeles. This speaking event will take place on Saturday, August 25, 2018, from 2:30-4:30 pm, at the Eagle Rock Library. Author, Stephen Gee, will discuss his latest book during a speaking event at the Eagle Rock Library in Los Angeles, on August 25, 2018, 2:30 pm. Following the presentation, Mr. Gee will participate in a Q&A session with the attending guests. More on Los Angeles City Hall: as one of the most iconic buildings in America, the Los Angeles City Hall opened its doors in 1928. It was the tallest building in the city. Highly anticipated and a cheered by many, and they had not even stepped a foot inside it yet. More than half a million people lined up outside the building to trumpet the emergence of a building which would serve as a signature landmark of a city transitioning from an outpost on the West Coast into a certifiable metropolis. Today, the iconic building houses the mayor’s office and the meeting chambers and the offices of the Los Angeles City Council. It is located in the Civic Center district of downtown Los Angeles in the city block bounded by Main, Temple, First, and Spring streets. Being adjacent to Hollywood, L.A. City Hall has appeared in many Hollywood films and TV programs, from The Adventures of Superman (1938), the original Perry Mason (1950s courtroom drama, TV series), Dragnet (1950s Police drama, TV series), Bad News Bears (1976 film), L.A. Confidential (1997) and the crime thriller, Gangster Squad (2013), to name a few. The building was designated a Los Angeles Historic-Cultural Monument in 1976. Author, Stephen Gee to speak at the Eagle Rock Library in Los Angeles, discussing L.A. City Hall, and architect John Parkinson. 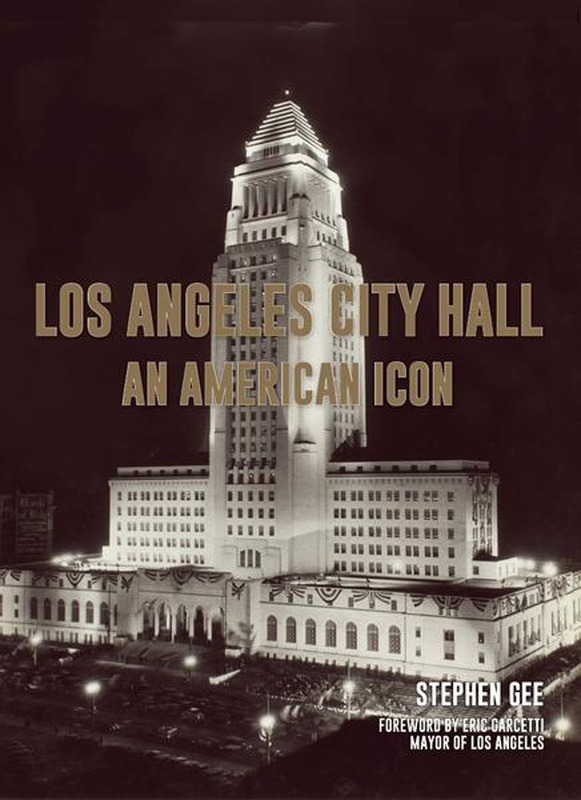 “I am excited to share details of my new book Los Angeles City Hall: An American Icon and discuss my experience writing other books on the city’s history. The book is the result of more than eight years of research and includes a host of never before seen plans and historic images. I’ll also share stories about writing and researching my other books Iconic Vision: John Parkinson, Architect of Los Angeles (now a PBS documentary) and Los Angeles Central Library: A History of Its Art and Architecture. I am thrilled to be speaking at the Eagle Rock Library and sharing my experience with fellow Angelenoes and the guests and the writers of the Western Edge. Doors will open at 2:00 pm. The event will follow a Q&A session and it is free to the public. Please arrive early as space might be limited and on a first come, first served basis. Western Edge Writers meet monthly at the Eagle Rock Library. 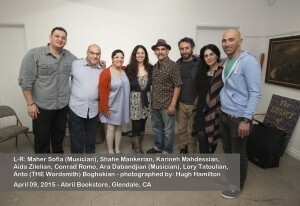 On March 9 and 10 , 2018, Armenian, Spanish musician and singer Vigen Hovsepyan made his Los Angeles Debut treating fans to his unique blend of folkloric Armenian and popular Spanish songs, at Stars on Brand, in Glendale, California. Vigen Hovsepyan performing live during his Los Angeles debut concert, presented by L.A. Concert Group. 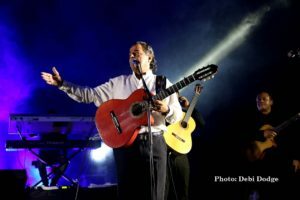 Backed by his soulful voice, and a Flamenco treatment of songs, the audience was introduced to a unique fusion of old world sounds, recent, popular hits. The blending of the East and West, both rich with cultures, art, and history have proven to be a successful formula for Hovsepyan, especially when the audience stays up on their feet, dancing to every other song, no matter in Spanish or in Armenian. Together, with his crafty band mates, the young performer made a lasting impression on Angelenoes attending his debut concert. Produced by LA. Concert Group, the event was sold out success, both nights. Armenian, Spanish musician Vigen Hovsepyan brings his fusion of old world sounds, and modern pop to Los Angeles for a debut concert. Vigen Hovsepyan and his band demonstrate a lively combination of sounds and impressive musicianship during two sold out performances in Los Angeles. Ian Media was tasked with the video production of this memorable concert. Born in Armenia, and raised in Spain, Hovsepyan has been trying to pay attention to both “homes,” splitting his time between Yerevan, and Barcelona the two locations that seem to feed and satisfy his artistic sensibilities. However, to release his debut album Echoes, he chose to record a selection of old (some forgotten) Armenian songs, a decision that surprised his record producers. By breathing new life into these songs Hovsepyan’s goal is to re-introduce a new generation to the rich catalog of Armenian songs while doing his part in preserving them. 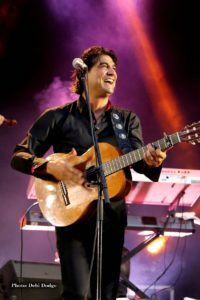 As for his live shows, think Flamenco style, high-energy tunes with pop influences – Latin Jazz, a little Gypsy Kings, mixed in with Doobie Brothers, and musicianship. 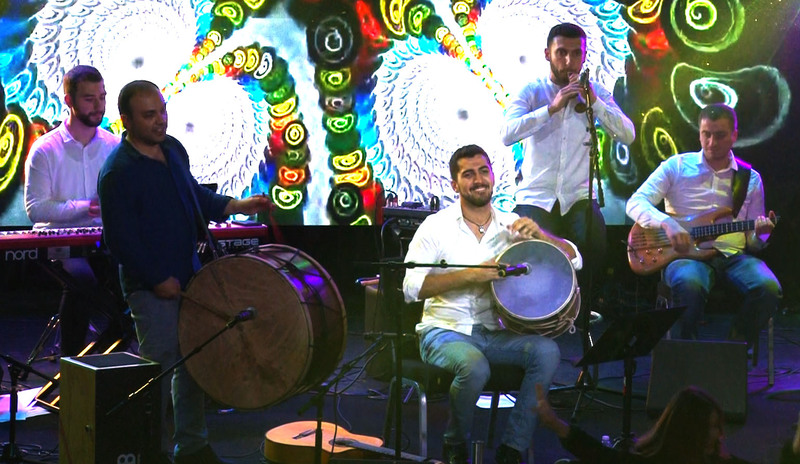 In fact Hovsepyan perform songs by Gypsy Kings, Ricky Martin and other European chart-toppers like singer-songwriter Jean-Jacques Goldman’s classic Aïcha, made famous by Cheb Khaled. 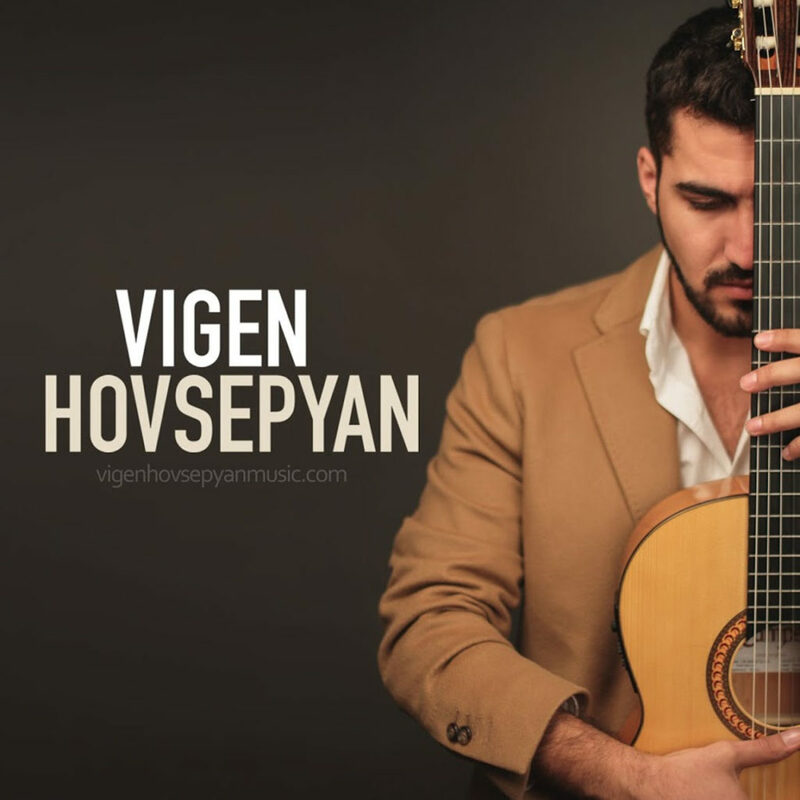 What makes Hovsepyan stand out is his effortless performance as a self-taught multi-instrumentalist, manning the acoustic guitar, the duduk (Armenian double-reed wind instrument made of apricot wood) or the Conga drums. Add to them his voice, heart-rending during ballads and then vibrant and lively as he breaks into up tempo numbers, and you have an audience-pleasing formula for success. The only step the public must take is to attend a Vigen Hovsepyan concert. The rest will become a memorable night for most music lovers exposed to this experience. At Ian Media our videography team was happy to have been a part of this magical event and shooting this concert became one of the top highlights of our year. Vigen Hovsepyan’s debut album Echoes: Revived Armenia Folk Songs is available now. Special Event: Don’t Miss ALPHAVILLE Live in Los Angeles. Forever young fans of Euro-pop, 80’s music masters, Alphaville, unite! The German synthpop and new wave band which rocketed to popularity in the 1980s will make its Los Angeles concert debut this month of August, 2017 thanks to our friends at L.A. Concert Group, responsible for bringing the international music sensation to our sunny and exciting city. At Ian Media marketing our team was asked to help launch a regional Cable TV advertising campaign announcing this special concert event in Southern California. 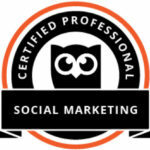 The 30-seconds TV commercial aired on powerful networks such as: E!, AMC, Comedy Central, CNN, Fox News, and FX . The founding members of the band were lead singer Marian Gold, Bernhard Lloyd, and Frank Mertens. 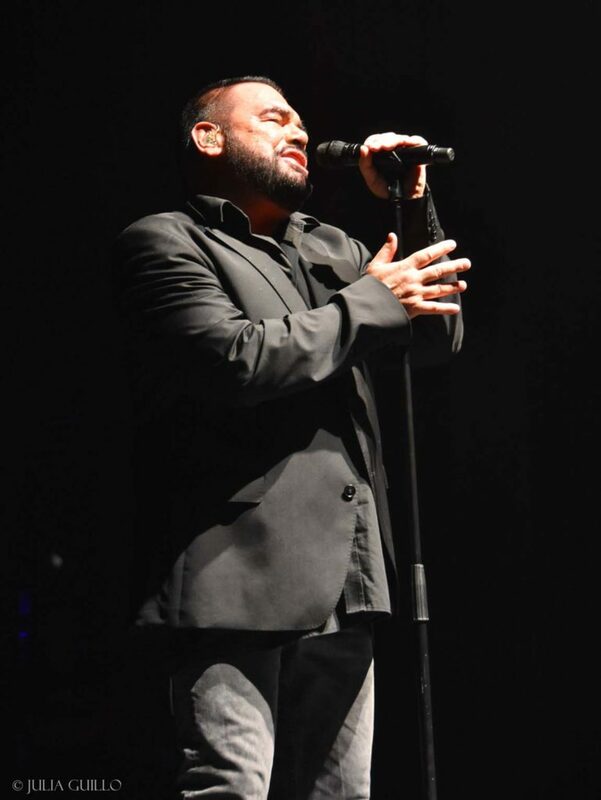 Marian Gold of Alphaville sings their greatest hits in a rare L.A. concert, live at Starlight Bowl, in Burbank California. Alphaville formed in early 1982, in Münster, Germany when Marian Gold and Bernhard Lloyd met at the music project Nelson Community. Months later, Frank Mertens joined the project. Together, the three wrote the monster-hit “Forever Young” which until this day plays on AC and pop radio worldwide, and has been covered by numerous rock and pop stars like Tiffany, The Killers, in addition to up-and-coming musicians on YouTube. In 1984, the group released their debut single, “Big in Japan”, which Gold wrote in 1979 after hearing the music of Holly Johnson’s band Big in Japan. The song was another huge hit for Alphaville, promising music coming from a band with strong lyrics, memorable riffs and its own sophisticated stamp. Following their success with more hit singles like “Sounds Like a Melody,” Jet Set,” Dance with Me” cemented the band’s place in music history, with a lasting effect on generations long after the original release of each song. The latest Alphaville album, Strange Attractor, was released on April 7, 2017. The band has been touring extensively since their 1980s beginning. These days, fans in United States are particularly happy hearing about the band’s recent concert dates in selected cities across the country. 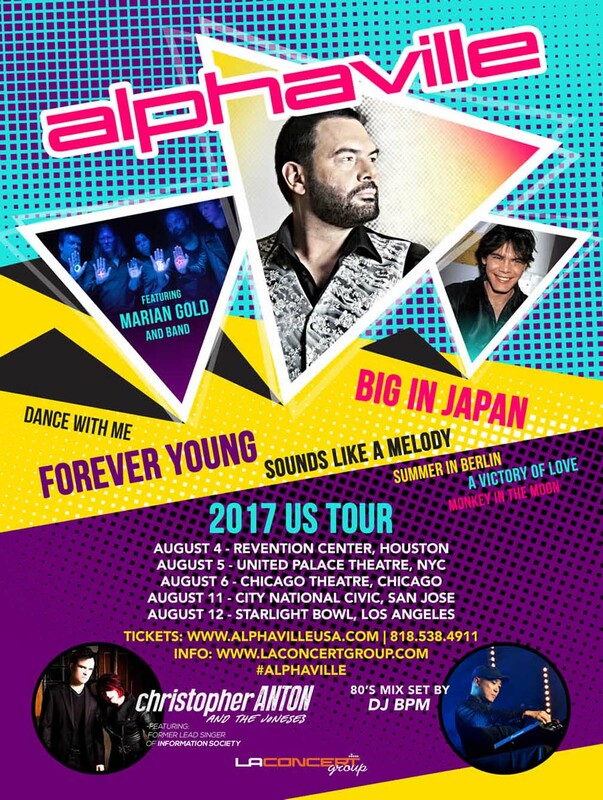 With the help of L.A. Concert Group fans in Los Angeles area will finally see their beloved Alphaville live. Diehard fans and lovers of 80s synth-pop will witness frontman Marian Gold take the stage, on August 12, 2017, under the stars, at the beautiful Starlight Bowl amphitheater in Burbank, CA. See the TV commercial below. Don’t miss your chance to experience an amazing night of music while sharing old memories and forming new ones with an army of loyal fans. Trivia: Did you know that the band was at first named FOREVER YOUNG before changing its name to ALPHAVILLE? About Ian Media: Based in Southern California, in Glendale, our team prides itself on planning and launching countless TV and social media marketing campaigns for a variety of domestic and national clients. Through the years, our video production team has produced a variety of award winning visual content for domestic, and international clients, both on television and online. Additional music, prior to the main event will be served by DJ BPM, in addition to a live performance by original the lead vocalist of Information Society, Christopher Anton, with his band, the Jonses. For more info on Alphaville & concert tickets CLICK HERE. Watch the official U.S. concert TV commercial below. In June, Chico & the Gypsies rocked L.A. and at Ian Media, we were happy to receive the call to help with the TV marketing of this exciting, one-of-a-kind concert finally making their way to satisfy fans on the west coast. Chico & the Gypsies the French musical sensation famous for their effortless mixing of rumba catalana, flamenco, and Latin pop, and rock tunes were making their American (and in our case, Los Angeles debut). 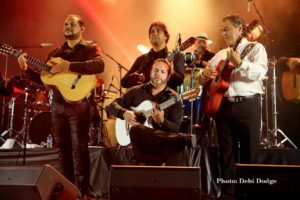 Led by Chico Bouchikhi, one of the founders of the Gipsy Kings, this new energetic big band of masterful players were formed in 1992, and they cemented their place in the music world as Chico and the Gypsies. Thanks to L.A. Concert Group, music lovers, and fans of the group were treated to an evening of authentic Rumba, Gypsy Flamenco mixed with Latin Pop favorites as Chico and band took the stage on Sunday, June 25, 2016, under the stars, at the Starlight Bowl in Burbank, California. The night of the event was nothing short of magic with everyone up on their feet, dancing and cheering. Fans danced the night away. And in front of the stage, at the Starlight Bowl, there was an open area for doing just that. A great idea by the organizers to allow fans to get closer to the stars and have the space to dance and party. Our mission at Ian Media was to help sell tickets for the concert by getting the attention of the Spanish speaking Cable TV viewers in Southern California. Of course once we realized which concert we are preparing a TV campaign for, our job became easier and exciting. Chico & the Gypsies! Done! If you live in the greater Los Angeles area, chances are you saw the thirty seconds TV commercials on networks such as Galavision, ESPN Deportes and Fox Deportes (Fox en Español). Can you imagine the powerful, high-energy sound produced live, by such top musicians? Guitar and vocal harmonies created by this amazing band are the stuff of legends. 18 musicians took the stage for what Chico called a “Gypsy party” performing big hits from the Gypsy Kings days and their own hit songs: Baila Me, Bamboleo, Andalusia, Historia de un Amor, Volare, Djobi Djora, Ben Ben Maria, La Bohemia, , Pharaon, Don’t Let Me Be Misunderstood, Ya Rayah to name a few. Language barriers were irrelevant. Music was what pierces through the hearts of these fans and made fans out of new disciples. The night’s music truly touched the soul. Another group of talented musicians who caught the eyes and ears of the attendees was the California based Vahagni, a genre bending acoustic ensemble, with a sophisticated, jazz infused, flamenco sound (or is it the other way around? ), peppered with other influences from what we simply know as world music. The band’s complex yet soulful sounds made an impression on the spectators, prompting visits to the table where CDs of the band were being sold. We thank L.A. Concert Group for calling on us to do our small share in promoting the event and loved seeing these legendary artists perform such amazing songs. CLICK HERE to plan your TV advertising campaign with us. 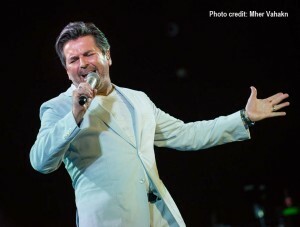 The city of Burbank played host to an 80s pop music icon, and an internationally loved entertainer, during his visit to Los Angeles, for two nights of sold out performances. 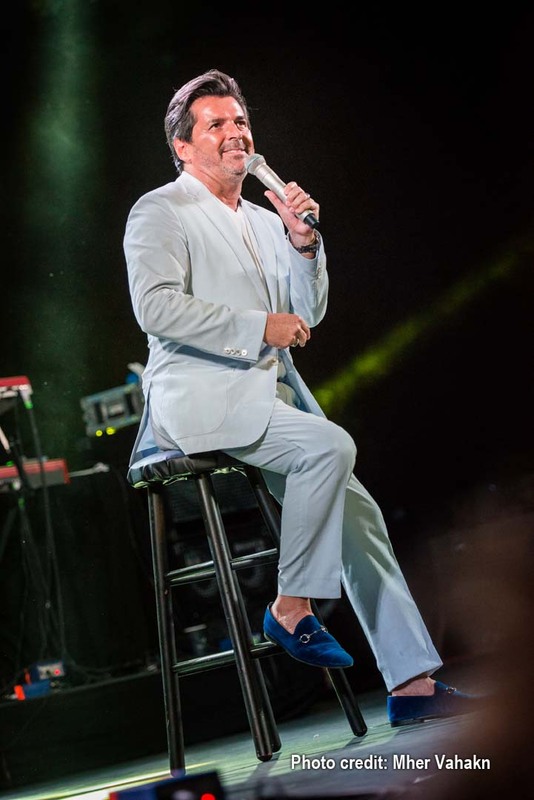 On Saturday August 15, and Sunday August 16th Thomas Anders took the stage at the Starlight Bowl to sing a list of his classic pop songs while performing newer tunes from his solo career now spanning over 3 decades, keeping him touring and recording most of the time. Here at Ian Media, we were thrilled to play a role in launching the TV advertising leg of the concert campaign, in Los Angeles, and to contribute to this very special concert. Viewers reacted enthusiastically after seeing the 30-second TV commercials featuring the iconic Anders and the news of him performing in their city. 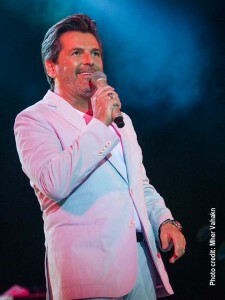 Known as The Gentleman of Music, Anders is the original voice of the 80s super-duo Modern Talking originating from Germany. The group rose to international stardom with songs: “You’re My heart, You’re My Soul,” “Cheri, Cheri Lady,” and “Brother Louie” to name a few, all recorded in English. The event was presented by LA Concert Group in collaboration with Starlight Bowl Summer Concert Series. Along with supporters and sponsors such as: City of Burbank Park & Recreation Department, Pacific BMW, Downtown-Burbank, Visit Burbank, Burbank Recycle Center, Los Angeles-Berlin Sister City Association, Noor Banquet Hall. The show was a rare treat for the fans on the west coast bringing 10,000 of them to see and hear the man and the music they admired for years. Opening the show were 80s tribute band PopGun Rerun followed by the main event, featuring Anders backed by Modern Talking Band and special guest Jörn-Uwe Fahrenkrog-Petersen, a keyboard player, producer and composer who has collaborated with the singer since 2011. Starlight Bowl is an outdoor amphitheater where guests can bring their own wine, beer and picnic baskets. Blankets or lawn chairs can be used for grass area. The bench seats are all assigned seating. Trivia: Thomas Anders is the only international star to have performed a record of 11 times at the Kremlin in Moscow, the equivalent of Royal Albert Hall, in London. See more photos from the concert on our Facebook page. Click Here. CLICK HERE to get info and buy tickets for upcoming events at the Starlight Bowl. On Thursday night, April 9, 2015, Ian Media and staff attended a very special event at ABRIL Bookstore in Glendale, CA. 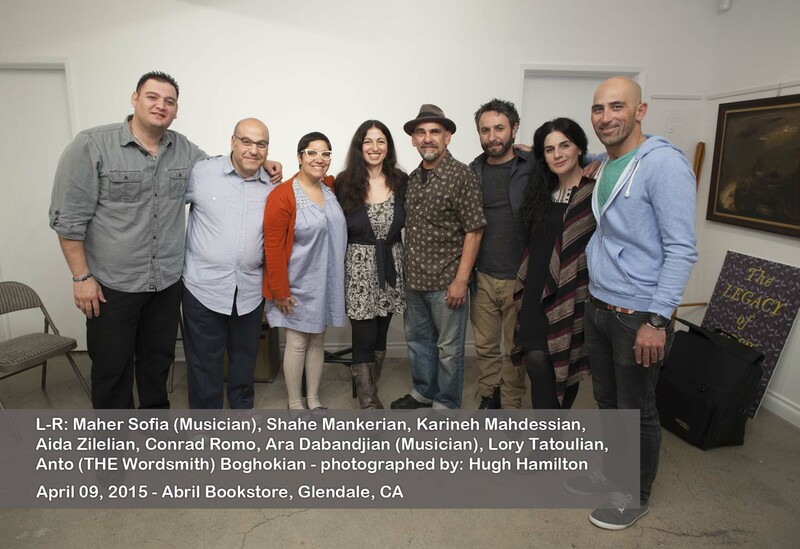 Aligned with the national poetry month and the 100th year anniversary of the Armenian Genocide (April 24, 1915), this literary treat exhibited a variety of short fiction, personal essays, poetry, spoken word, and music by new and familiar voices. New York based author of “The Legacy of Lost Things,” Aida Zilelian read excerpts of her new critically acclaimed novel which follows the intimate lives of a family of Armenian immigrants through generations as they settle in the U.S.
Born and raised in Kuwait, Anto (THE Wordsmith) Boghokian recited short stories (and a bit of a song) reflecting on Armenian survival in foreign lands in addition to an incredibly charming and entertaining take on getting to know a woman by knowing the types of shoes she might wear. 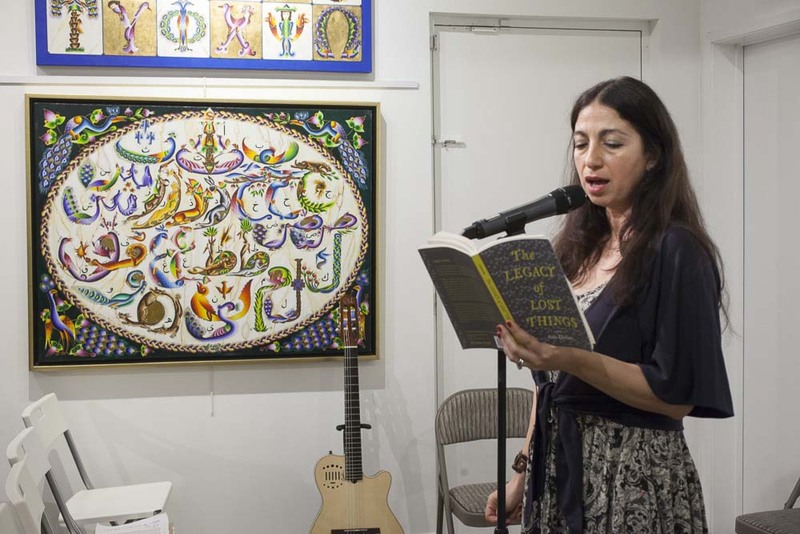 The lively Karineh Mehdessian was the Energizer bunny of this event, with the humorous approach to subjects of family, fathers-and-daughters, loss, and old-country longings in the first world. Award winning poet, playwright, and storytelling observer of the Armenian-American experience (as we like to think of him), Shahe Mankerian’s short tribute to painter Arshile Gorky was both dark and touching. His observation on aging and Alzheimer in “The History of Forgetfulness” was just as memorable and poignant. 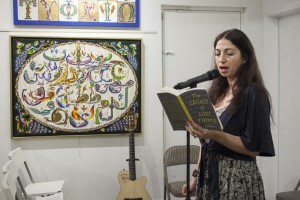 Lory Tatoulian, the award-winning comedic actress and playwright (“The Big Bad Armo Show”) injected her own brand of humor to the event, as Lori Bedikian shared a few of her own stories, all touching on the modern day Armenian experience in North America. Attendees were also treated to a musical performance by Ara Dabandjian. The event was produced by author, poet, essayist and literary beacon Conrad Romo who has his own impressive resume you must check out by clicking HERE. CLICK HERE for ABRIL Bookstores official website. With over 2 million followers on Instagram and more than twice as many people devouring her every Tweet, it’s about time Nicole Richie brought her unique brand of smart girl sarcasm and cheerleader charm back to television. One of the rare celebrities whose style influence– from fashion to home décor – on women ages 13 to 30 is undeniable, Richie’s managed to build a mini empire – including her House of Harlowe collection of jewelry and handbags, Winter Kate fashion line, and Honey Child Production Company – simply by being herself. And what’s evident on her new VH1 show #CandidlyNicole – based on the popular AOL series she cultivated out of her endlessly quotable Twitter page – is that the 32-year-old former Simple Lifestar has managed to accomplish all of this without dulling her devilish sense of humor and often acerbic wit. Just watch her run amuck as guest editor at whowhatwear.com, the buzzy fashion blog run by her no-nonsense bestie, former Elle editor, Katherine Power, or attempt to get her teenage sister to drop the cell-phone and embrace the pre-millennial wonder that is Beverly Hills, 90210. Think Curb Your Enthusiasm, but for the Pretty Little Liars crowd, #CandidlyNicole is an expectedly delightful sorta look at the life of a long time Hollywood it girl. VH1 connects its audience to music, celebrities, pop culture, nostalgia. With hits shows like Celebrity Rehab, Mob Wives, Behind The Music, Love and Hip Hop, Basketball Wives, and Black Ink Crew, to name a few.